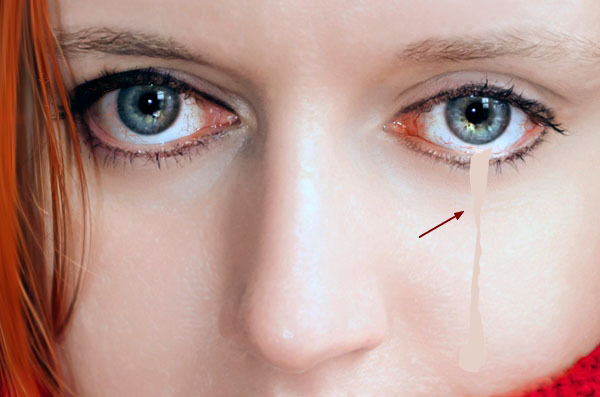 In this tutorial I’ll show you how to paint a realistic tear with Photoshop. 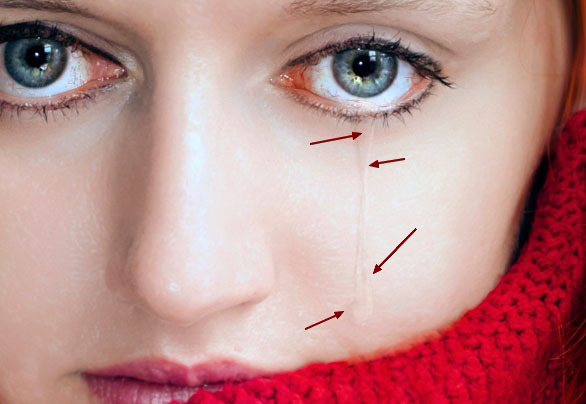 When you’re crying, the veins will appear more than usual. 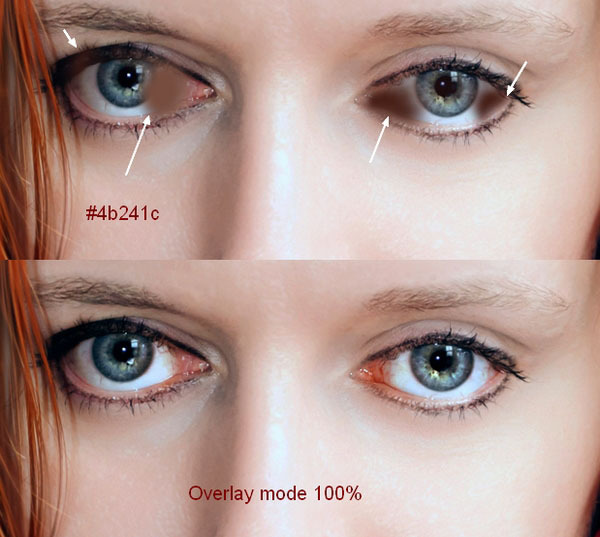 Make a new layer and use a hard brush with the color #aa6555, the size about 2-3 px ( it depends on the size of your image) to paint the red veins. 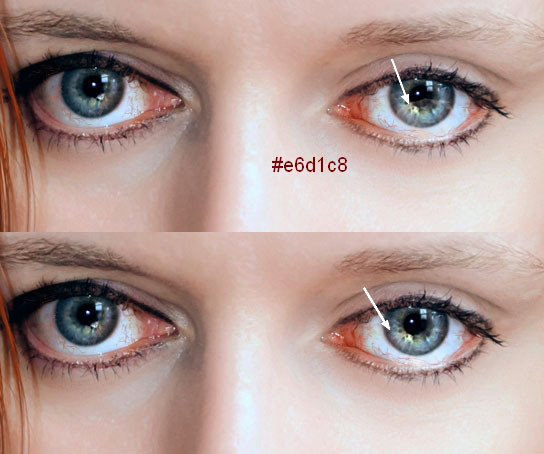 Create a new layer and use a brush with the color #e6d1c8, the opacity and flow about 10-15% to paint on the bottom of the right eye (from the viewer). 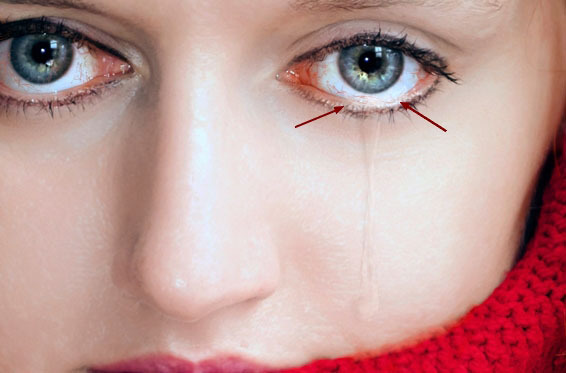 Change this layer mode to Overlay 100% to make the eye look wet. 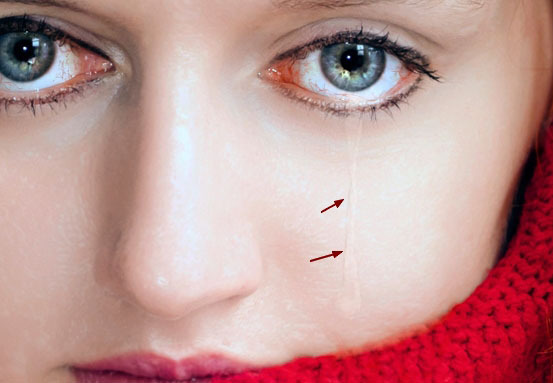 Make a new layer and use the Lasso Tool (L) to make the basic shape of the tear. Fill this layer with the color #e6d1c8. Click the second icon at the bottom of the Layers panel to add a mask to this layer. 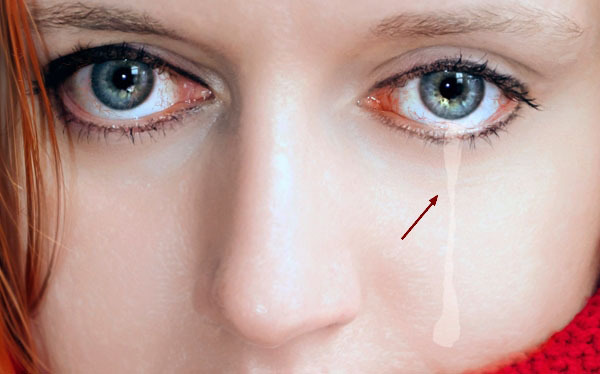 Use a soft black brush to soften the edge and form of the tear, make it appear more subtle. 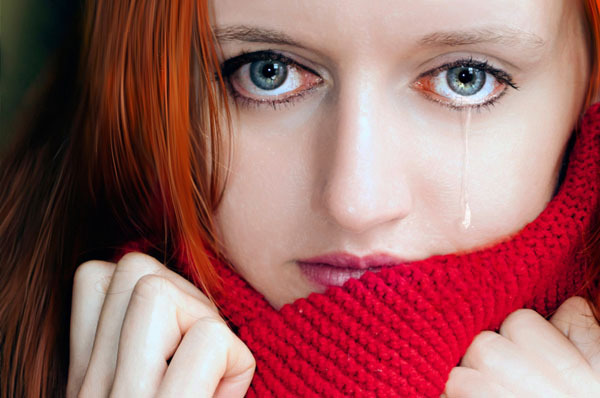 There is a very important thing you should remember, that a tear has shadow and volume. Determining the light source will help you know where to paint the shadow. In this image, the light comes from right to left so the shadow should be on the left. Make a new layer and pick a soft brush with the color #cca396. 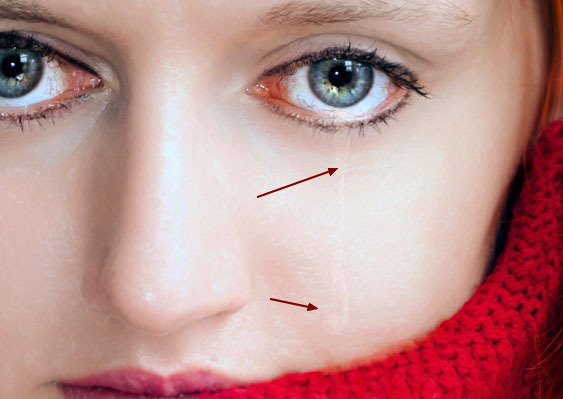 Lower the opacity to 20-30% to paint a thin shadow. Make it subtle otherwise it would look unnatural.